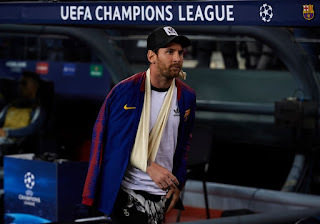 Barcelona Manager; Ernesto Valverde has indicated Lionel Messi and Samuel Umtiti are both set to return for Barcelona against Real Betis on Sunday but Ousmane Dembele has been dropped. 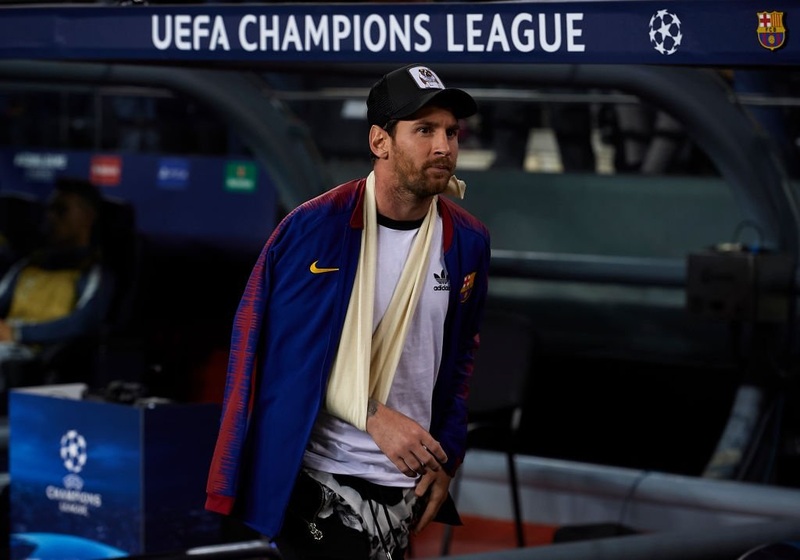 Messi has been out since breaking his arm against Sevilla on October 20 while Umtiti has been nursing a knee problem and has not played since September 26. Both are included in the squad to face Betis in La Liga this weekend but there was a surprise omission for Dembele. Valverde said the 21-year-old had been left out after a “sporting assessment”. Messi’s return would come as a major boost to Barca. Their captain was included in the travelling squad to face Inter Milan on Wednesday but was not deemed fit enough even for the bench. Asked if he could play 90 minutes against Betis, Valverde said: “We will see, but he’s lost his fear of falling or struggling against an opponent. Messi’s absence should have been a golden opportunity for Dembele but the winger’s form has been mixed in recent weeks, while Luis Suarez, Philippe Coutinho, Rafinha and Malcom have all impressed. Barcelona paid around 105 million euros to sign Dembele from Borussia Dortmund last year but injury and inconsistency have plagued his career in Spain so far. “Let’s hope he can make the most of all his talent so the team benefits and also the club, which has made a great investment in him,” Valverde added. Umtiti has been a key player for Barca but the defender’s place in the starting line-up this weekend is not guaranteed, given Clement Lenglet has done well alongside Gerard Pique during the team’s strong run. Barcelona sit three points clear at the top of La Liga and will hope for another victory against 14th-placed Betis, before the start of the international break. Valverde also praised his full-back Jordi Alba, who earned a recall to the Spain squad for the first time under new coach Luis Enrique. Coutinho will not play against Betis. The midfielder is recovering from a hamstring strain.